In a video posted to Facebook on Wednesday evening, Manweller said an outside investigator hired by the university had concluded that he exhibited a "pattern of unprofessional and inappropriate behavior," but that his conduct did not rise to level of sexual harassment. "There is nothing in this report to apologize for," Manweller said in the video. "The things that are true are not inappropriate and the things that are inappropriate are not true." In 2012 and 2013, Manweller was the subject of back-to-back investigations at CWU into allegations that he sexually harassed and even sexually propositioned female students as far back as 2006. None of the findings were formally substantiated, but a dean did reprimand Manweller for using poor judgment. Manweller challenged that reprimand and the university ultimately paid his attorney fees and promoted him to full professor. Last December, Manweller said the university placed him on leave and decided to investigate him again after receiving calls and emails from former students following a series of news stories about the past allegations against him. Manweller, who is seeking his fourth term in the Washington House, does not have a Republican primary challenger. He does face a challenge in the general election from Democrat Sylvia Hammond of Ephrata. In 2016, Manweller won his heavily Republican district with 70 percent of the vote. After his Facebook video was published, Manweller said he had seen a copy of the new report by attorney Trish Murphy of Northwest Workplace Law in Seattle, but that he couldn't release it because it wasn't properly redacted. CWU has denied public records requests for the report, saying the investigation into Manweller is ongoing. In a statement late Wednesday, the university said it was "committed to conducting an objective, thorough and fair investigation—and we are doing that." Invoices released Thursday by CWU show Northwest Workplace Law billed the university $118,950 between December and June to conduct the investigation into Manweller. The university has not said when it expects to complete its investigation or when it will relase the findings. Manweller said he believes the university is determined to fire him, even though he was recommended for a promotion and raise this year. In his four-minute video, Manweller called CWU in Ellensburg "a liberal island in conservative Kittitas County" and described Murphy as a "downtown Seattle lawyer." "Let's be clear, Central is not responding to allegations, they're manufacturing allegations," said Manweller, a tenured professor of political science. On Thursday, Manweller sent reporters a legal declaration from a former CWU student named Isa Holsclaw who said she had been contacted by Murphy during the investigation. In her declaration, Holsclaw said she felt "pressured" to say things to Murphy "that were not true." "Overall, I felt like Ms. Murphy was engaging in a 'witch hunt' against Professor Manweller," she wrote. Murphy, the investigator, did not immediately respond to a voicemail message left with her office requesting comment. In an interview last December with public radio, The News Tribune and The Olympian, Manweller said he "might have been" flirtatious with students before, but it wasn't his intent to "ever cross a line." In his video, Manweller ran through a list of what he called "trivial" allegations against him that spanned a decade. Those accusations, according to Manweller, included that he stood too close to a student at a reception, sat down at a cafeteria table with a student and gave his 23-year-old babysitter a glass of wine. He offered no other details about these alleged incidents or when they took place. In addition to allegations of misconduct at CWU, the Seattle Times reported last December on a former legislative staffer who complained to her supervisor after she went to lunch with Manweller and said she ended up feeling like it was a date. Manweller told the newspaper, "I held the door open and I put her coat on? Is that now harassment?" In his video, Manweller acknowledged the #MeToo movement and heightened awareness about sexual harassment. "This is a good thing," Manweller said. "But in doing so we need to be mindful that there is a difference between real sexual harassment and something like standing too close to someone." 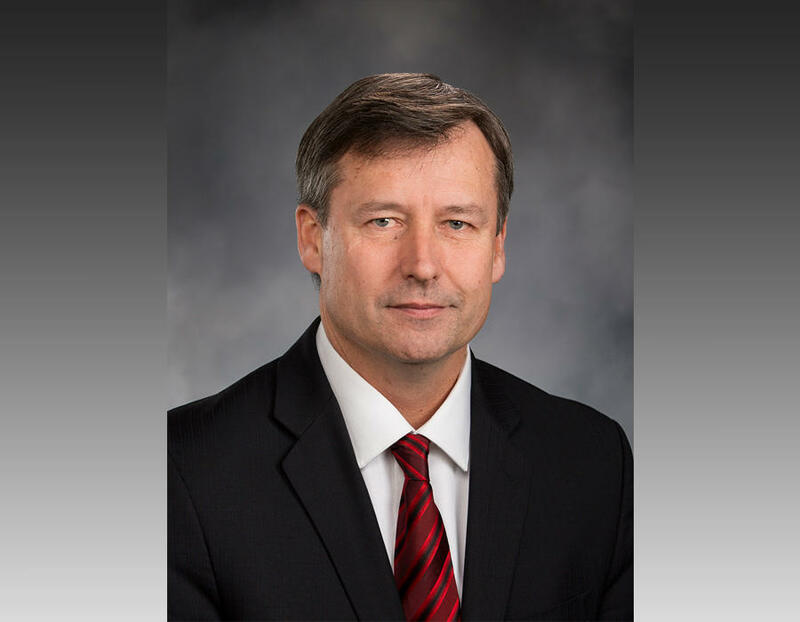 Last December, after Manweller was placed on leave at CWU, he stepped down as assistant floor leader for House Republicans and was stripped of his role as the ranking Republican on the House Labor and Workplace Standards Committee. However in May, Manweller was elected to serve as vice-chair of the state Select Committee on Pension Policy.